The mayor highlighted the importance of water preservation during the annual dry months on the island. 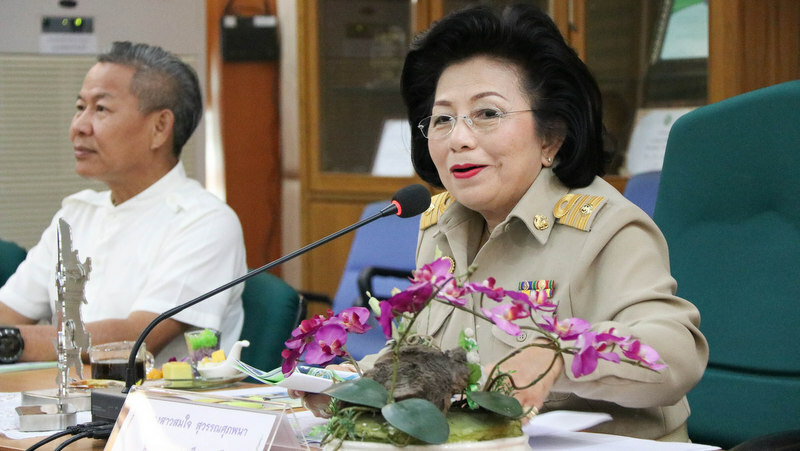 “There are three main water reservoirs in Phuket with a total production capacity to supply about 23,000 cubic meters per day,” the mayor explained. “If the rains do not come soon, we will not have enough water left in the reservoirs. Therefore we must begin efforts to prevent a drought crisis. I urge people to please follow this plan,” she stressed. 2. Please use water sparingly and regularly check for leaking or broken pipes to reduce unnecessary water loss. 3. If water sources do not increase, Phuket City Municipality will reduce the mains water pressure between the hours of 10am and 5pm every day. This will have more of an impact on areas that are far from water sources or on high ground as water may not flow to such areas at certain times. Water sources used by Phuket City Municipality are fast running dry, Mayor Somjai said. At the current rates of consumption, one on Damrong Rd will last just 36 days, and another at Suan Luang (King's Park) will last 54 days. “Water distribution points have been set up at three locations in Phuket Town: 1) DDPM office on Kra Rd; 2) DDPM office near the corner of Soi Pha-niang and Yaowarat Rd; 3) Phuket City Water Plant at Suan Luang Park. 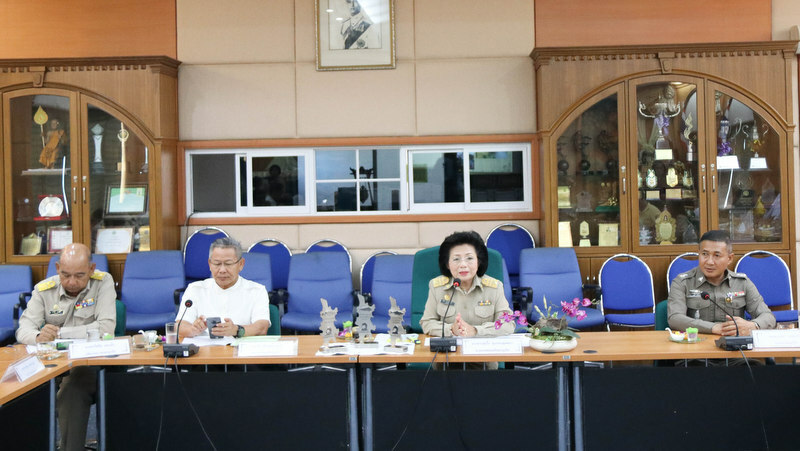 “If people are in urgent need of water, please call the (Department of Disaster Prevention and Mitigation) DDPM hotline 199 or Phuket City Municipality on 076-211111 or the Phuket City Municipality hotline 1132 for help,” the mayor said. They should by now know they have a wet season and a dry season yet they do nothing to conserve water when it's abundant, constant wastage, no planning, no forward thinking, no personal responsibility, then they have the world's biggest water fight right at the end of the dry season when supplies at their lowest, yup makes total sense! "Someone obviously has never seen a real water crisis," the very title, of the article, states "water crisis", PN states the same and with water resourses drying up, I, and many others, would say it's a water crisis... but hey, you focus on one commenter....why? "Phuket is suffering a water crisis" Someone obviously has never seen a real water crisis.Probably wouldn't survive it longer than a few days too.And saying they never do anything to initiate keeping up water management is plain stupid. "Klong Krata Chalong" was finished in 2017 as the third major water reservoir. How many water trucks does the governor, mayor and their cronies own or operate? Preventing a water crisis? What a utterly nonsense! Phuket is suffering a water crisis! Due to short sighted government officials who allow constructing-building-constructing unlimited building ( 10,000 more rooms coming up!) and never do anything to initiate keeping up water management, the inhabitants of Phuket are in deep S**t. Nothing more, nothing less. Incompetence with a thai grin. This is the time to bring the backhoes and excavators and to dig deeper all Phuket dams and reservoirs to increase the storage capacity and sell the earth to the construction companies to cover the costs. It may be good to slow down all new constructions such as hotels, condominiums, housing estates and so on, in order to limit the number of inhabitants to its resources in water and electricity.